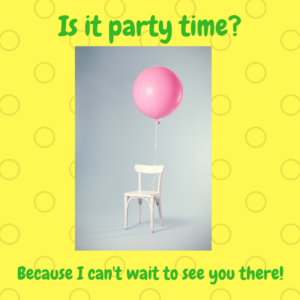 A Facebook party that is! Because we’re celebrating the May Superromance books! 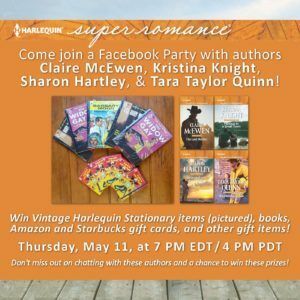 Please join Tara Taylor Quinn, Kristina Knight, Sharon Hartley and me for an hour of Facebook fun. There will be giveaways and cute posts and time to chat with us and other readers. 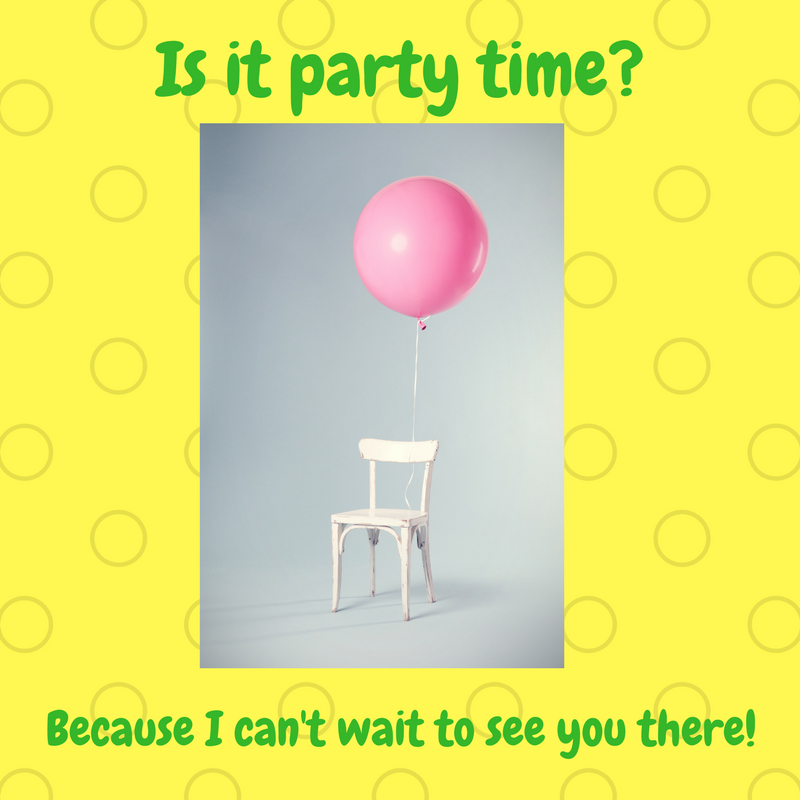 And there will be party favors! We’re all bringing some, plus we’re giving away amazing office supplies with vintage Harlequin covers. The last time I gave some of these away, many people were disappointed they didn’t win, so here’s another chance for FIVE lucky people! ← Two Books in the Golden Quill Contest!